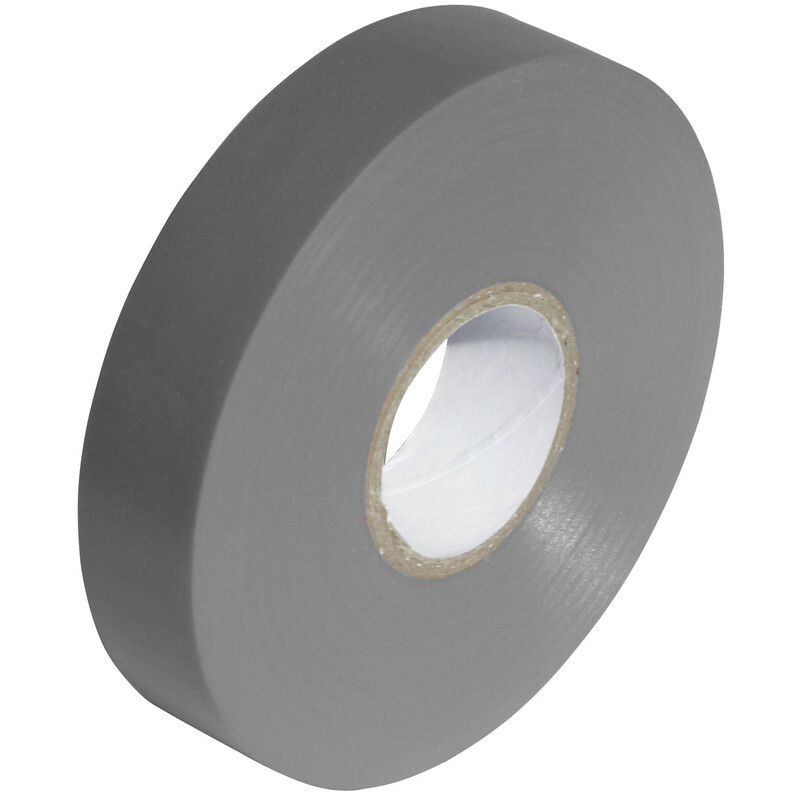 Insulation Tape Grey 19mm x 33m is rated 4.3 out of 5 by 43. Rated 5 out of 5 by vinnychoff from Great colour blue tape Bought this tape to mark pipes under the floors for cold and hot. Seems good quality and a decent amount of tape. Sticks too. Rated 1 out of 5 by Ntl101 from Non stick Nice looking white insulation tape which is rigid in composition and does not stick. Back to using Tesa insulating tape. Rated 5 out of 5 by JHam from Did the job completely! We have problems at a big show sticking cards onto wooden surfaces at the end of each day. Whatever tape we use, the card falls off during the day - but this one did the job! Rated 1 out of 5 by pacoceline from Poor quality tape Badly guilotined tape so each time you try to roll a section the tap snaps.